Description: Basilica does not indicate a precise organ but a set of organs realized by means of the software BASILICA (for Windows) and its integrated sampleset. Basilica allows everybody to create very easily in a few minutes many organs from 1 to 5 keyboards and up to 96 stops. 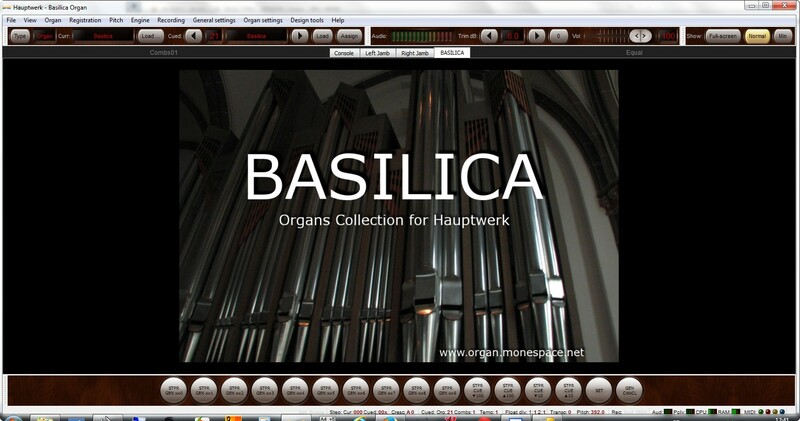 * All the organs made with Basilica are compatible with the free version of Hauptwerk.